Let me start by saying thank you for the hours of glee and enjoyment you have brought to my seven-year-old son. Two years ago when he first began his obsession with all things Egyptian, I never would have imagined that one night we would be snuggled up listening to a book on tape and he would jump up from the couch and scream, “I knew it! I knew it was the Egyptian dwarf god Bes!” I am convinced that any damage done to his psyche by having his books on Egyptian life and mummification banned from his Kindergarten has been repaired by the validation of his obsession he has found in the first two books of your Egyptian Kane Chronicles series. 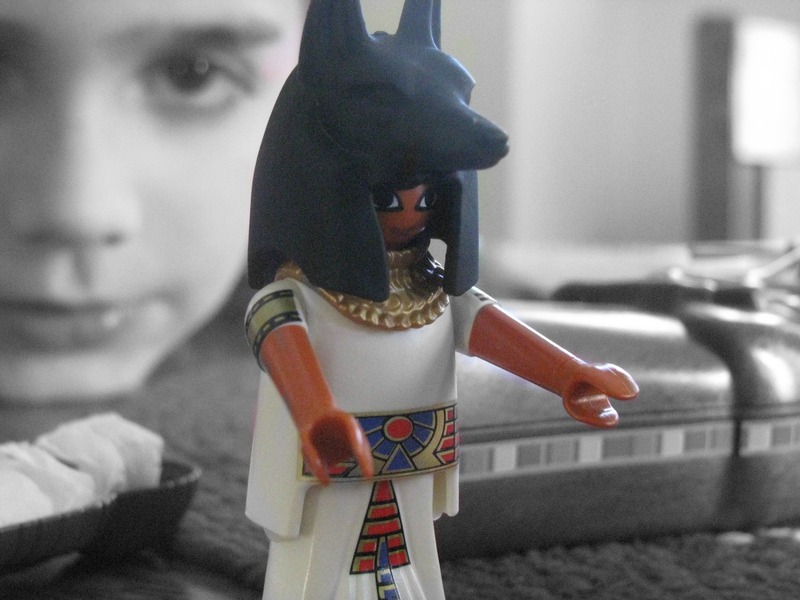 While it may have been slightly unnerving to watch him and his friends paint canopic jar heads at his 6th birthday party, or to spend an afternoon playing priests of Anubis with his Egyptian Playmobil set, I am more than pleased that he has become so knowledgeable on ancient Egypt. Your tales of modern adventuring teenage Egyptian magicians have truly enriched our lives. I wouldn’t want to neglect his love for your bestselling Greek Mythology series. (He was also asked to stop bringing books about Greek gods and monsters to share with his fellow Kindergarteners). While we have yet to be able to appropriately explain to him how these gods can have children by so many mortals, he has become a virtual lexicon of Greek mythology. Even though you have given us so much already, I was hoping to ask you a favor. Could you find the time to create just one more series for my son? Clearly you have a knack for taking ancient stories and making them come alive for modern children. So if you wouldn’t mind, could you try to write him some novels based on the stories of the Hebrew Bible? 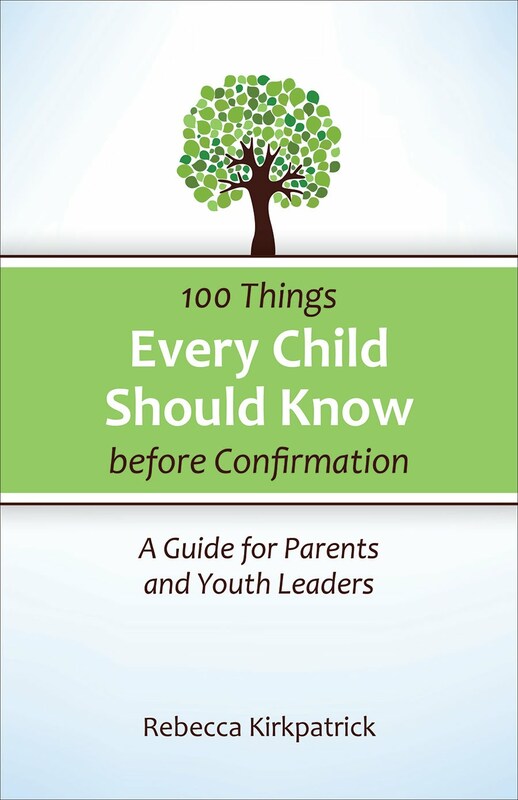 Please don’t mistake this as an attempt by a Christian parent to combat the seeming pagan nature of your other works of fiction. On the contrary, I deeply value the way that your books have sustained his interest in the history and stories of Greece and Egypt. His grounding in these early cultures has already taught him more than many adults know about architecture, art and language and has given him a leg up on understanding the foundations of Western Civilization. I just wish there was a more exciting way than the NRSV (New Revised Standard Version) to teach him the great stories of the Old Testament. Certainly the tales of the first murder, child sacrifice, stealing of birthrights, mistaken brides, selling brothers into slavery, plagues, an epic journey through the wilderness, battles, spies, giants, betrayal, exile and return would fill multiple volumes of the young adult fiction that you do so well. As you consider my request, I have a few suggestions for places that you might find a little inspiration. To encourage a sense of whimsy in the books, I would suggest reading Madeleine L’Engle’s Many Waters, which retells the story of Noah and his family. You will most likely need to follow her lead and incorporate time travel into this series. To encourage you to fill in the gaps between the biblical stories, you should pick up a copy of Anita Diamant’s The Red Tent, which tells the stories of Rebekah, Rachel, Leah and Dinah. I know it is a little racy, but as my comment about the love lives of the Greek gods above indicates, I know you don’t shy away from the grittiness of these ancient tales. Finally, you might want to at least thumb through James Michener’s The Source. I myself have never been able to finish it, but it certainly provides inspiration for the epic scope that these ancient biblical stories demand.